For indoor or outdoor pools with normal domestic use, COVERfree can be added on a weekly basis. COVERFree can simply be poured from the bottle into the pool water. It will then automatically spread over the water surface. The 0.9 litre COVERFree bottle contains a handy measuring scale to allow you to add the correct amount of COVERFree. 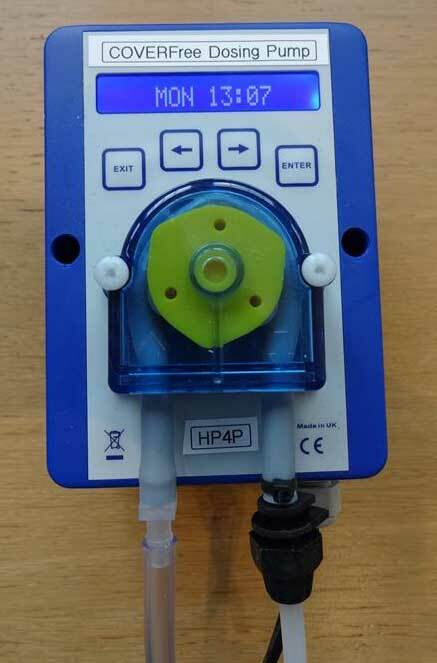 For best results on commercial pools, feed small amounts of COVERFree Pro-Series into the pool multiple times per day using the automatic programmable dosing pump.